The June Daring Bakers' challenge was hosted by Jasmine of Confessions of a Cardamom Addict and Annemarie of Ambrosia and Nectar. They chose a Traditional (UK) Bakewell Tart..Er...pudding that was inspired by a rich baking history dating back to the 1800's in England. We were allowed to make either one large, medium or several small tarts. After looking high and low for small tart pans, which I didn’t find, I decided on making the large one. The Tart was very good, we loved the frangipane. All the elements were perfectly balanced and came together well. 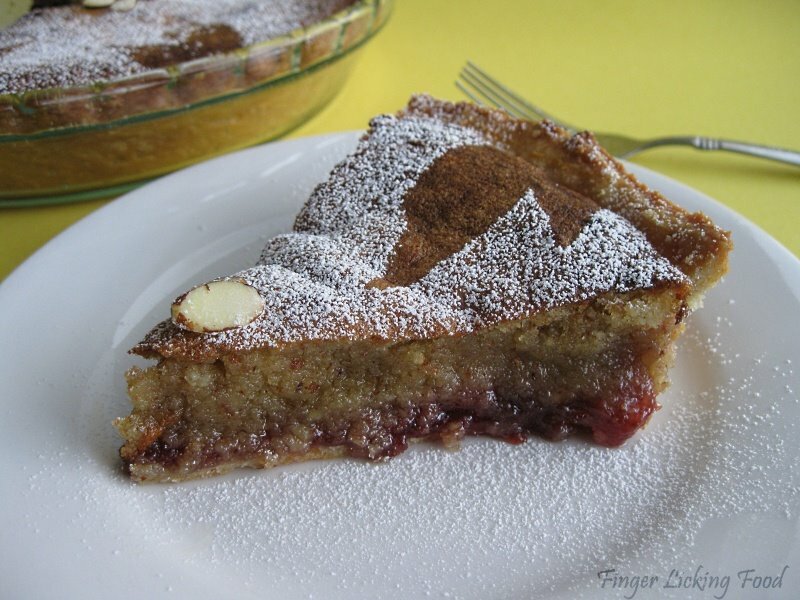 I didn't quite wait for it to cool completely before I cut into it, hence the runny frangipane and jam. 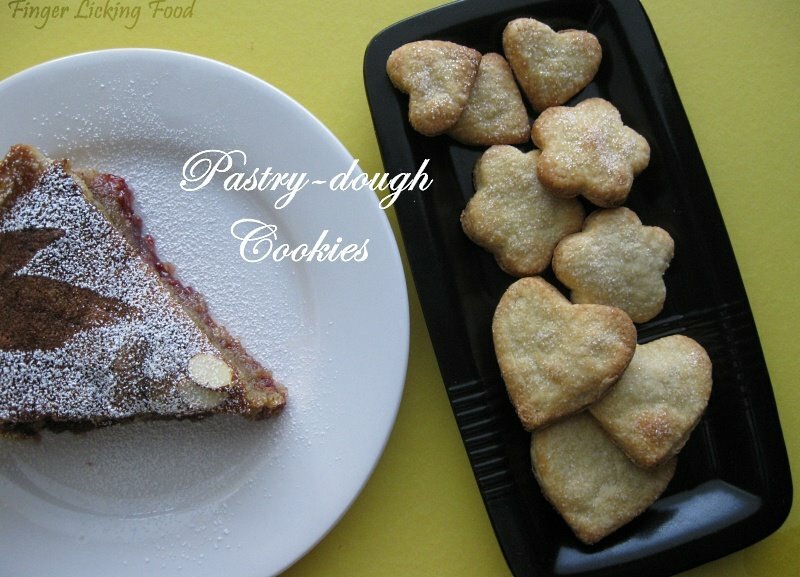 It tasted heavenly.I had the left-over sweet pastry dough, which I rolled out and cut into various shapes using cookie cutters. I sprinkled them with a little sugar and baked them for 10 mins at 350F. 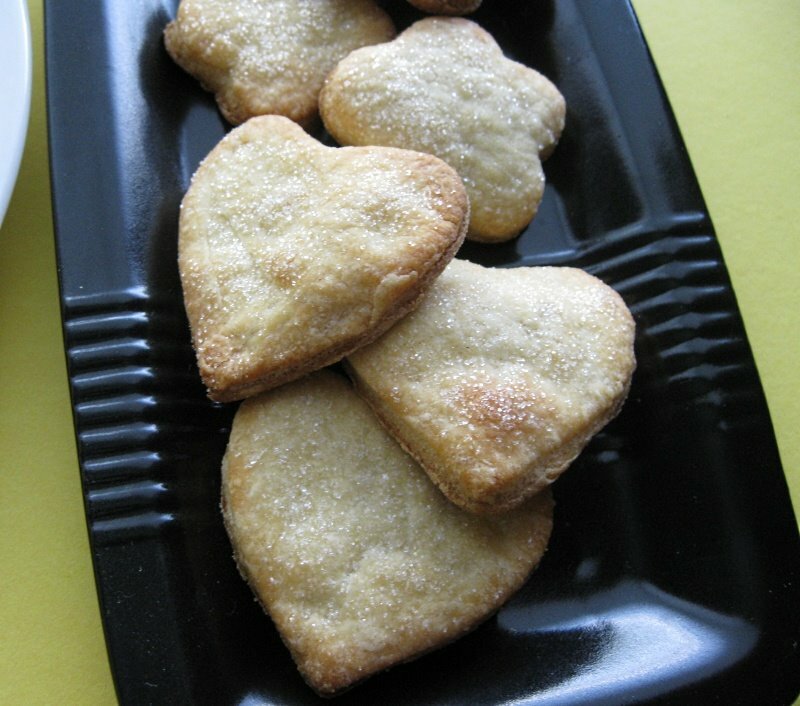 The cookies are not too sweet and make for a good tea-time snack. Another challenge completed. Thank you Jasmine and Annemarie for a great tasting challenge! Looks so good, must have taken loads of energy and of course time.. But for some reason such recipes really makes me rather reluctant to give it a try! Some how it all seems so difficult besides being the staple of a 'daring baker'! Your tart looks amazing!! I love the little cookies you made =D. Awesome job on this challenge!! Great job on your challenge and your tart looks delicious. wonderful looking tart .... very nice presentation..cookies are looking sweet and crispy..nice shape.. 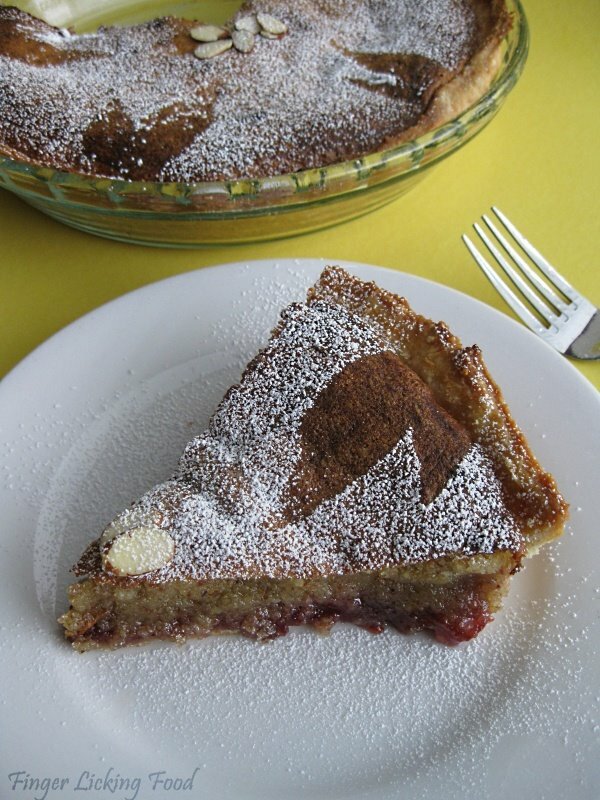 Your Bakewell tart looks amazing. 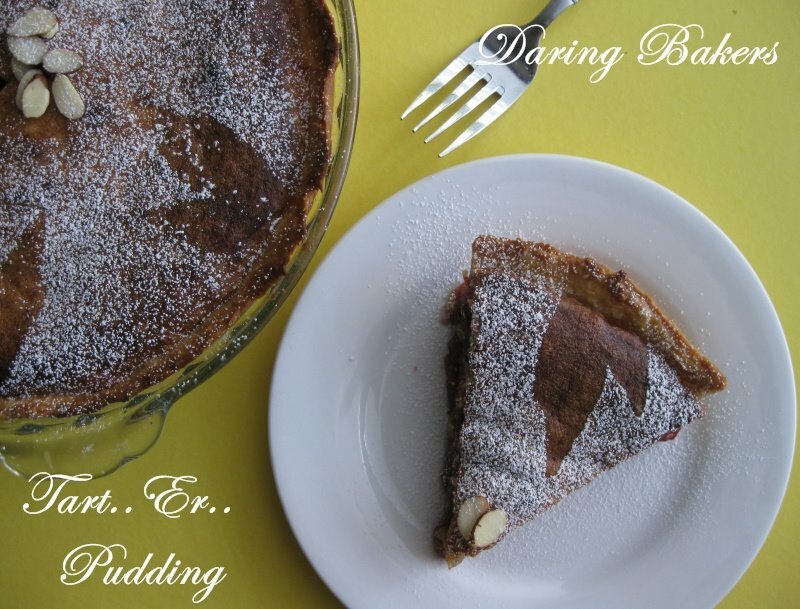 It happens to be one of my favourite bakes to eat -yum!